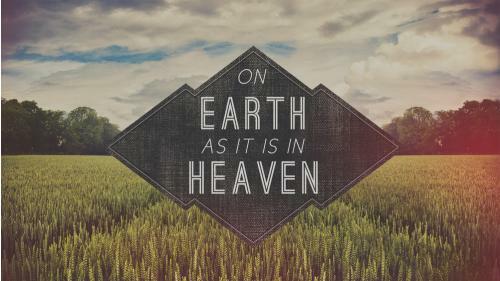 We are to pray, "Thy will be done on earth AS IT IS IN HEAVEN." (Mathew 6:10) How is God's will done in heaven? Let me mention four things. 1. The angels are in a perpetual state of WAITING UPON GOD for His commands. They don't run around heaven trying to do 'something for God' according to their own ideas. They wait for God to speak first - and only then do they act. 2. When God speaks, the angels obey IMMEDIATELY. 3. When God commands something in heaven, it is done COMPLETELY. 4. The obedience of the angels is JOYFUL. We hear such complaints even among Catholics, "Why should I make all the sacrifices? What about him or what about her," etc., But we never hear such words from the angels in heaven. They consider it a privilege to do anything for God and they rejoice at every opportunity to obey Him. And so when we pray this prayer, , "Thy will be done on earth AS IT IS IN HEAVEN." Among other things we are asking that God's will may be done in our lives like that - joyfully and without any complaints and without any comparisons with others.